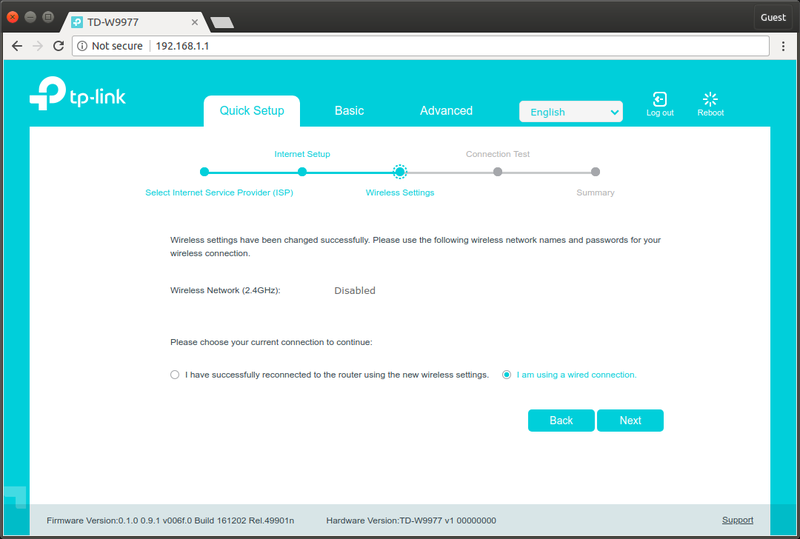 Factory reset the TP-Link WD9977, set a new password on the device once the factory reset has completed. 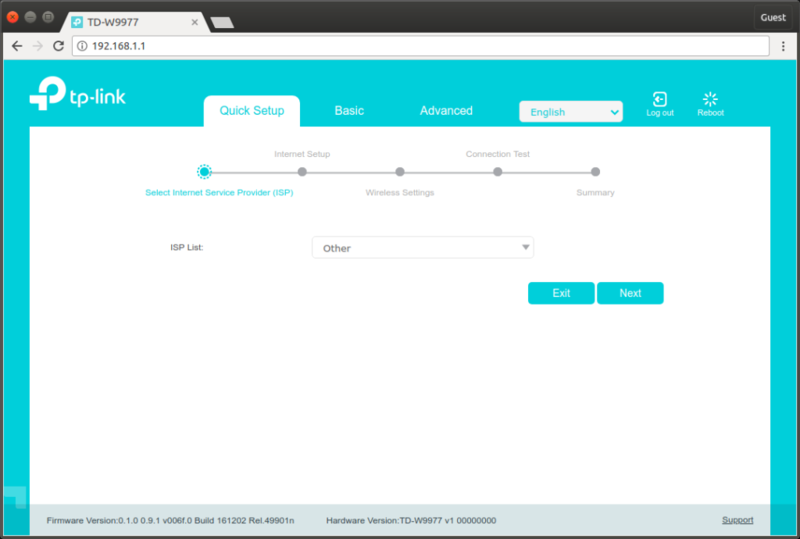 Select the ‘Quick Setup’ tab, select ‘Other’ from the ‘ISP List’, click ‘Next’. Quick Setup > Internet Setup. Quick Setup > Wireless Settings. 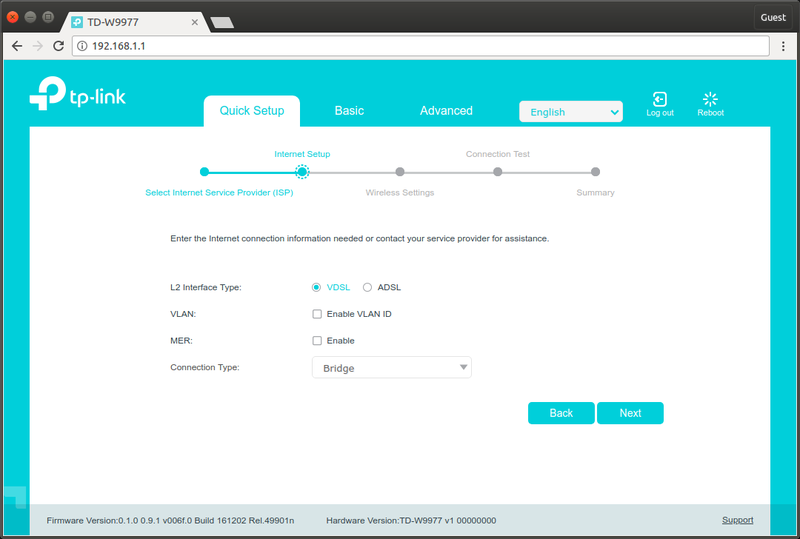 Select ‘I am using a wired connection.’, click ‘Next’ to continue. Quick Setup > Summary. Click ‘Finish’ to continue. 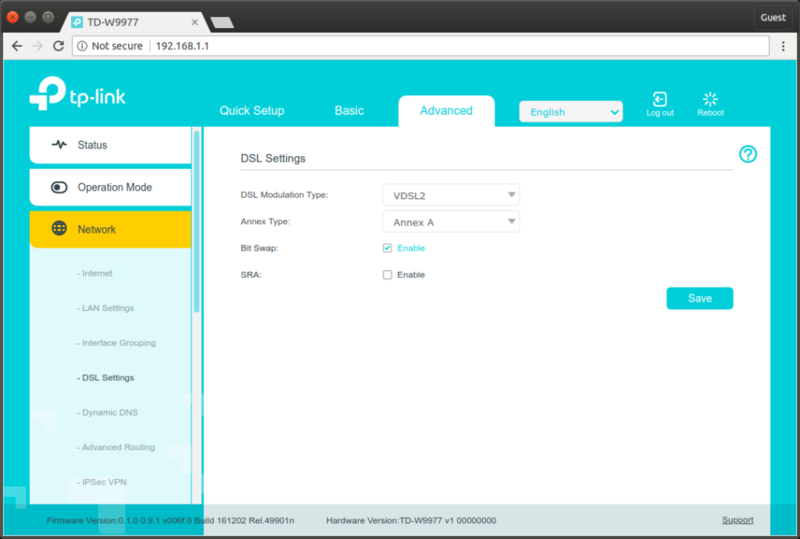 Advanced > Network > DSL Settings. Advanced > Network > LAN Settings. 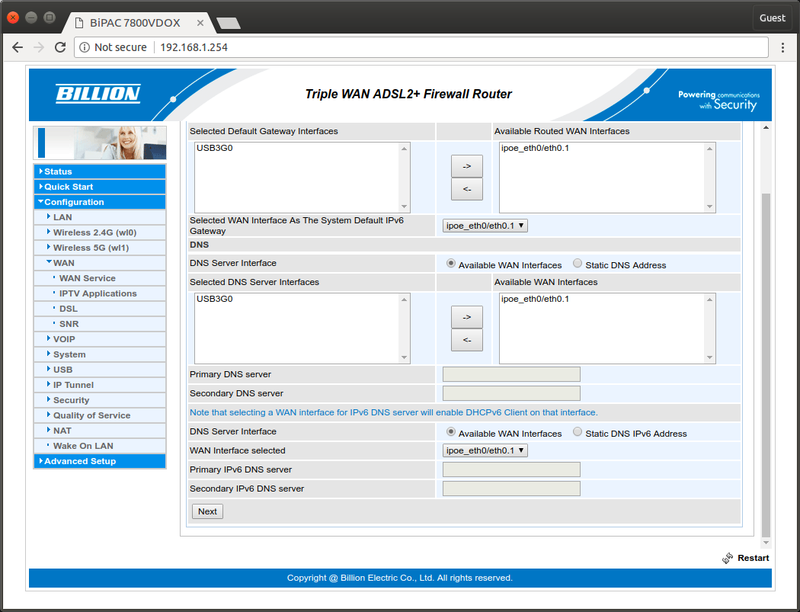 Set the IP information accordingly, if you need to make future adjustments on the WD9977 you will need to connect to a spare LAN port on the WD9977 and create a static IP connection on the same network. 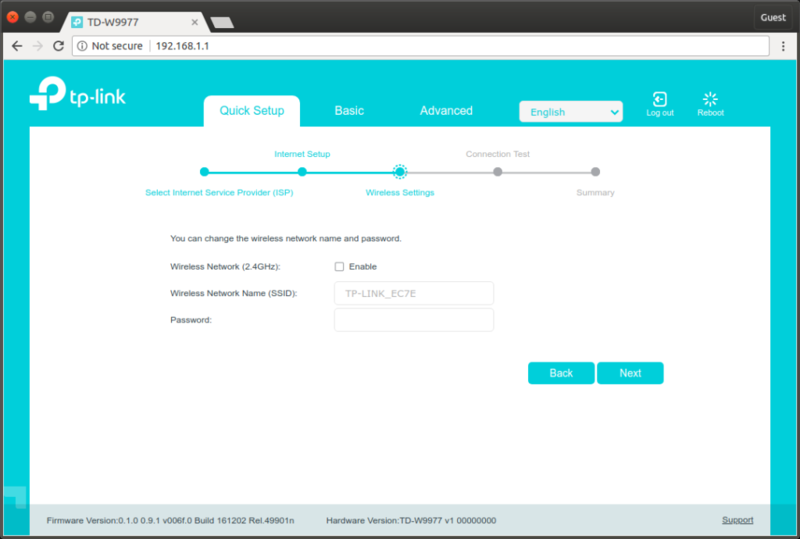 I use 192.168.0.x addresses on the WD9977 and 192.168.1.x addresses on the 7800VDOX. Advanced > System Tools > Time Settings. Adjust your time settings accordingly, click ‘Save’. Configuration completed on the WD9977, proceed to the Billion 7800VDOX. Configuration > WAN > WAN Service. 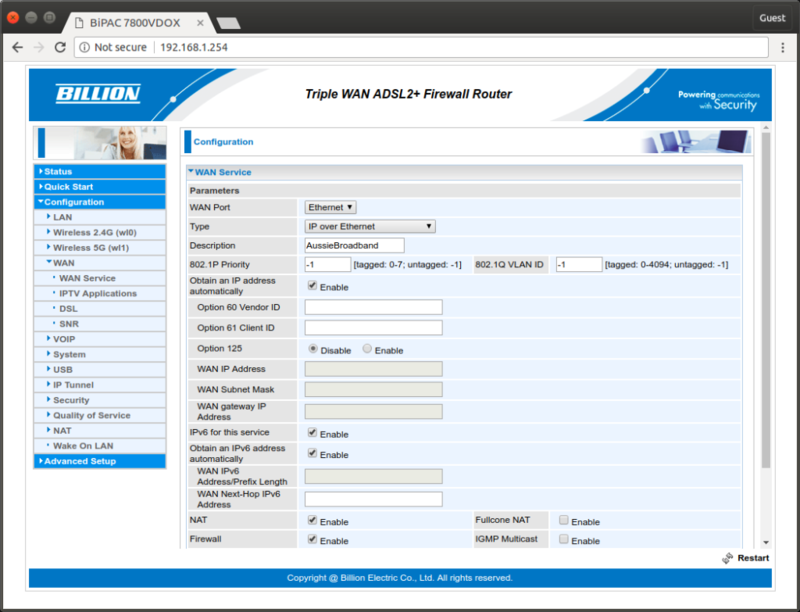 Available Routed WAN interfaces: Ensure ipoe_eth0/eth0.1 is in this list. Click ‘Next’, configuration completed on the 7800VDOX.